Precise blend of premium quality gold taklon and soft sturdy goat hair allows a springy, resilient response in a full figured round brush. 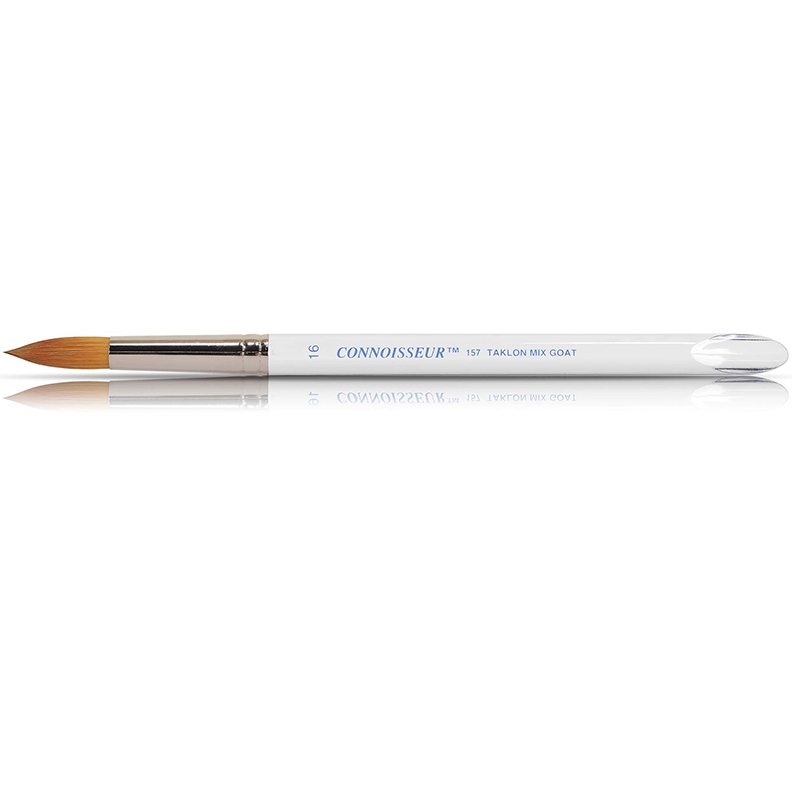 The unique Connoisseur clear acrylic handle with scraper edge and the extreme color carrying capacity of this brush combine for an excellent choice for the watercolorist. The full round belly of the brush tapers to a perfect point. Nickel plated ferrules. Brushes are guaranteed for life against defects in materials or manufacturing.